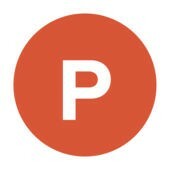 ProductHunt stopped producing new podcasts in July 2016 with the departure of Erik Torenberg :’( but there are still some great ones in the archives worth listening to. 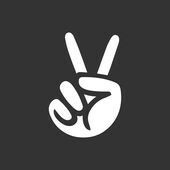 AngelList scores lower on my list simply because their frequency of new releases is pretty low (they only released 10 episodes in 2016), but their quality is very high. 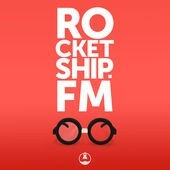 I’m not sure how it took me quite so long to find Rocketship. They produce a highly-growth-and-scaling-focused weekly podcast that’s sure to give you a lot of great ideas on how to grow your business and yourself. My Recommendation: Growth Episode 5: Powering Your Growth Engine (1/3/17). In this episode they talk with Casey Winters, Andrew Chen, Dmitry Dragilev and Ryan O’Donnell about what it was like to be a one person growth team and how they grew the teams at Grubhub, Pinterest, Zurb & SellHack. Quite simply: “A podcast focused on great products and the people who make them.” Learn about the people behind the products you use every day. My Recommendation: Episode 79: Josh Pigford — “We’re all winging it”. Josh runs Baremetrics, which, in my opinion, rivals social media manager Buffer for the most transparent company in the world. 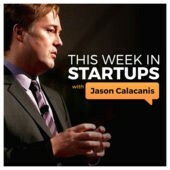 If you enjoyed Episode 3 from AngelList radio featuring Jason Calacanis, you’re in luck, he has his own podcast too! This Week in Startups features the best, worst, most outrageous and interesting stories from the world of Web companies. My Recommendation: Episode 698: “Best of SCALE!” SaaStr Founder Jason Lemkin on getting from $1m to $10m in ARR. Seriously, who doesn’t use Intercom these days? 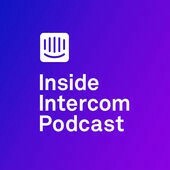 Get a view behind the scenes of the fast growing customer communication platform and catch interviews with product leaders in Europe and the Americas (Intercom product is based in Dublin, Ireland). 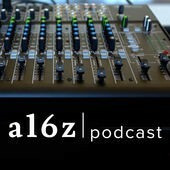 My Recommendation: 1/5/17 Episode Des Traynor sits down with Paul Adams, VP of Product, and Emmet Connolly, Director of Product Design, to discuss the biggest trends of the past year, including bots, conversational commerce, and voice UIs, as well as where product is headed in 2017. If I had one complaint about TIPM, it would be that the content is often much more dry than the other podcasts on this list. However, TIPM more than makes up for that fact with insightful studies of almost every single aspect of product management. For the brand new PM, TIPM would be my #1 recommendation. 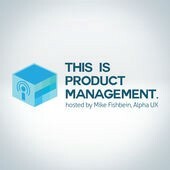 My Recommendation: Episode 75 “Creatively Saying No is Product Management.” There is no more true statement in my opinion about the role of the PM. Learn how to process input from others in your organization without committing to do something that is counter to your product strategy. 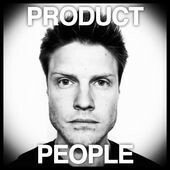 Similar to “Product People”, HIBT talks with innovators, entrepreneurs, and idealists, and details the stories behind the movements they built. 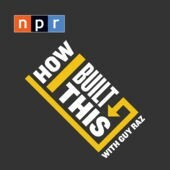 Since this is an NPS podcast, the interviews feel like more of a journey and the stories only sometimes are technology related. Open your mind and learn about all types of building with HIBT. My Recommendation: 12/26/16 Warby Parker: In 2008, it was nearly impossible to buy a fashionable, affordable pair of glasses online. That simple frustration inspired the idea behind Warby Parker — and disrupted the eyewear industry. If you don’t know Andreessen Horowitz by now, you should. As one of the top venture capital firms worldwide, they offer incredible insights and have incredible access to the top startups and founders in the world. Learn more about technology and investing trends by listening to their weekly podcast. My Recommendation: 12/31/16 “The Movement of Money”. As companies expand out from the internet into the rest of the economy — the proverbial bits to atoms — “the business models are becoming more complicated, more interesting, more payment based”, observes Patrick Collison, CEO and co-founder of payments platform Stripe, which enables apps/websites to programmatically move money around. 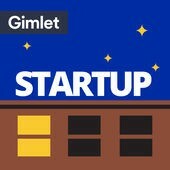 Out of that success, Gimlet launched many other successful podcasts (ReplyAll, Crimetown, Science Vs to name a few). The latest episodes of Startup followed controversial American Apparel founder Dov Charney as he tries to bounce back with a new startup called Los Angeles Apparel. “Shark Tank on a Podcast.” Only smarter. 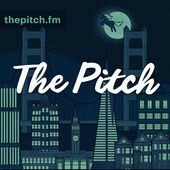 Each ~30 minute episode features several startup pitches followed by immediate feedback from real, “guest” VCs who either commit to a follow up conversation or pass on a chance for investment. Hosts Josh Muccio and Sheel Mohnot bring impressive product and investment backgrounds, often interjecting their own thoughts about the pitches and the promise they see in the idea and team. If you’re starting up a new company, don’t miss an episode of The Pitch. My Recommendation: Silvernest—Home Sharing for Baby Boomers (Episode 38). Wendi Burkhardt pitches her roommate-matching service for empty nesters with space to share. Anarghya Vardhana with Maveron determines whether or not she’s interested in investing. What kind of information do you provide to your contacts? In what ways do you provide them such information? Through content, of course. So what is the best strategy to get content to your contacts? Develop a content strategy framework that works with search engines and you'll win the content strategy game in 2018. Let's dive in with Justin on how to rock your content strategy for 2018. Google now processes over 5.4 billion searches per day. That's a lot of people looking for information to problems they're trying to solve. The search engine's role in this transaction is to connect people with the most relevant and valuable content based on their search query. But with more than 2,000,000 blog posts being written per day, someone finding your content can feel like looking for a needle in a haystack. With all of this content being produced, search engines like Google are being forced to better organize and showcase the content they think would be helpful to the searcher. This led Google to release a zoo of updates over the years. The first notable update, which really shook things up, was Google’s “Hummingbird” algorithm update in 2013. This update focused on parsing out phrases rather than focusing on specific search queries. Many search engine optimizers and content marketers viewed this as an initial shift from a keyword and topic focus to content creation and website organization. The next major update happened in 2015 — Google’s RankBrain algorithm update. RankBrain is Google’s machine-learning artificial intelligence system that interprets people’s searches to find pages that might not have the exact words they searched for. Google is able to do this by associating past search history with similar themes and pulling together keywords and phrases to provide a better context-driven search engine results page. As search engines evolve, we must adapt if we want to be found online. And search engines are evolving, all the time. All this change brings opportunity for content marketers to be found and, more importantly, found by their ideal audience. That’s a key facet to creating successful content in today’s online environment. Most content creators forget it’s not just about creating content for the search engine. Search engines aren’t the ones filling out the forms on your website. Search engines aren’t the ones sharing your content on social media. Search engines aren’t your customers; humans are. If you want to create effective content that converts visitors into leads and eventually into customers, you need to create a helpful, positive user experience that solves for both the searcher and the search engine, not just one or the other. Here’s how your content can solve for both: Create targeted clusters of relevant content that each cover a specific core topic in depth. These targeted clusters then need to lead to a centralized hub, known as a content pillar. What is a content pillar? A content pillar (aka pillar page) is a website page that covers a broad topic in depth and is linked to from a cluster of related content. Let’s review the relationship between a topic cluster and a pillar page. First, you need a core topic. This should be something broad, usually 2–3 words — something that can be dug into and explained on a deeper level. Sales qualification is a great example of a core topic. Your core topic will take the shape of your pillar page; your core topic will be what you’re trying to rank for on search engines. Next, identify your topic cluster, which will be made up of several relevant subtopics. A subtopic should be strong enough to stand alone — in the form of a blog post or video — but when combined with other like-themed subtopics, it should be relevant to and support your core topic. In this case, “What is BANT?” and “What is a qualified prospect?” are examples of strong subtopics that support the core topic of sales qualification. And what completes this content pillar, which solves for both the searcher and the search engine, is connecting everything through a series of hyperlinks. By linking all relevant subtopics to the core topic (i.e. pillar page), you’re funneling all of your traffic to the main resource hub on this topic. Let’s see this in action. If you performed a Google search for sales qualification, this is what the first page listing would look like. At the top, you’ll see Google generated a featured snippet, which is the search engine’s way of answering your question simply without you having to click through to the page. The featured snippet as well as the number one ranking. After the first few paragraphs, you’ll see a table of contents that lets you know you can navigate through the guide by clicking each section. Each section title has an anchor link attached to it, which, when clicked, will take you to the specific section on the page where it explains that topic in depth. Going back to our example, you found yourself on this page because you clicked through to learn more about the BANT qualification framework, which is number five on “The Ultimate Guide to Sales Qualification.” By clicking the anchor link, you’re taken to the specific portion on the page that discusses the BANT qualification framework in depth. Something important to note: Not every relevant subtopic you have will be referenced on the pillar page (and that’s okay). That’s because you may have hundreds, even thousands, of subtopic pages that support your core topic. Instead, you can strategically link to relevant subtopic content throughout your pillar page when it makes sense and when it provides value to the website visitor. Just make sure all important subtopic pages connect to the pillar page, and use your best judgement on what content you include. Remember, keep the user experience and the story you’re trying to tell in mind. So that’s how this page solved for the searcher: by offering a positive user experience. But how did this page solve for the search engines in terms of traffic and visibility? This page receives more than 1,500 organic, non-paid visits from search engines per month. Want to learn a seven-step process to reverse engineering a topic cluster and pillar page? Sign up for the Content Marketing Certification now! How can you get started with creating topic clusters and pillar pages? During January of this year, I hosted a content experiment with the goal of helping people create content that solves for both search engines and the website visitor. During this experiment, I used my website, Wild We Wander, to experiment with creating a pillar page by deconstructing a 76-page DIY truck camper guide that my wife, Ariele, and I wrote last year. The result? In less than four months, our non-paid, organic traffic coming from search engines went up 329%. Yeyuh! Instead of shoving all this valuable information behind a landing page, we opened it up for search engines to find, which also gives website visitors the opportunity to view our content before downloading it. Everyone had different pieces to pull together with the first item to tackle being the actual content in the ebook. Since it had been four years since the original release, Mary Cate and Juli did a comprehensive audit of what existed in the ebook. Trent then took the current copy and beefied it up (which is quote the understatement as it actually double in size!). At the same time, Danielle began designing what the pillar page would look like on the SmartBug website. Once the team signed off on the design, she passed it over to Evan to code everything. And while all that was going on, each person signed up to write an additional blog post after brainstorming about potential titles. This effectively doubled the amount of blogs that would link to the pillar page. Once all the content was finished, other team members could contribute by adding resources to each section in the pillar page, linking the existing blog posts to the pillar page, creating the thank you page, writing social media posts, and developing an announcement email. The entire process took six weeks from start-to-finish. Early success signals for SmartBug’s pillar page are strong. In the first two weeks, the page received 1,806 views and 330 submissions, converting at 18% and growing. The page has also yielded 122 net new contacts. While the majority of page views have initially come from direct search and email marketing, organic search and social media have generated 20% of the total views to date. SmartBug is seeing tremendous engagement from LinkedIn specifically with 76% of social media-related traffic coming from that channel. This comes as no surprise as LinkedIn is the social media channel of choice for SmartBug’s primary persona for this campaign. HubSpot’s campaign reporting tool also indicates that within this short, two-week, time frame the campaign has already influenced four closed deals at $77,250 in revenue. Want to learn how to create a content marketing strategy in HubSpot? Check out SmartBug's documentation of their process in this helpful, step-by-step guide. How Can HubSpot’s Content Strategy Tool Help? Let’s check out a company that’s taken the time to grow their topic clusters and pillar pages into the backbone of their content strategy. That company is Townsend Security. They’re a full-service data security provider. With cyber security dominating the news, Townsend Security helps enterprises meet compliance and mitigate the risk of data breaches with encryption and key management. In 2015, the marketing team at Townsend Security started creating content that aligned with their buyer persona and the security solutions they sell. In early 2016, Townsend Security started to see real results from their content creation efforts. The result: Their traffic held steady in 2015, and in the first quarter of 2016, they had a 27% rise in organic search visitors. But all that changed in the second quarter of 2016. Competition for their narrow band of keywords increased as new competitors entered the marketplace, and their larger rivals outspent them on online marketing. After a record high March and April, they saw a 38% slippage in organic search visitors during the next three months (with a 28% slippage in one month alone). Their hard work from the previous year evaporated. While they fought back and did recoup some of that traffic, they still struggled to regain their high ground in organic searches. In late September of 2016, Townsend created a comprehensive pillar page around a broad topic. The goal was to become the thought leader on “encryption key management.” And that’s exactly what they did. The result? Townsend’s unpaid, organic traffic coming from search engines went up 55% in less than three months.